Is there anyone that doesn’t loath chores like doing the laundry and washing the dishes? If it’s up to any of, we would leave this task to tend for itself, but at one point or another we’ll need to get address it ourselves. 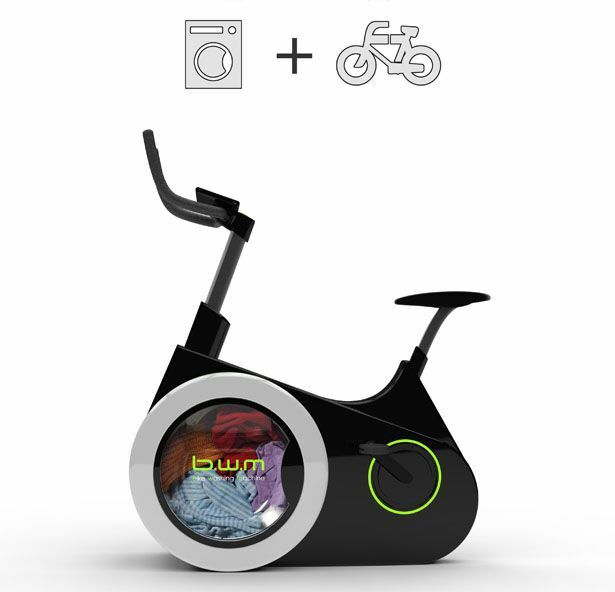 Meet the BWM, or the Bike Washing Machine, the newest invention by Chinese students, which offers an interesting solution to this problem. 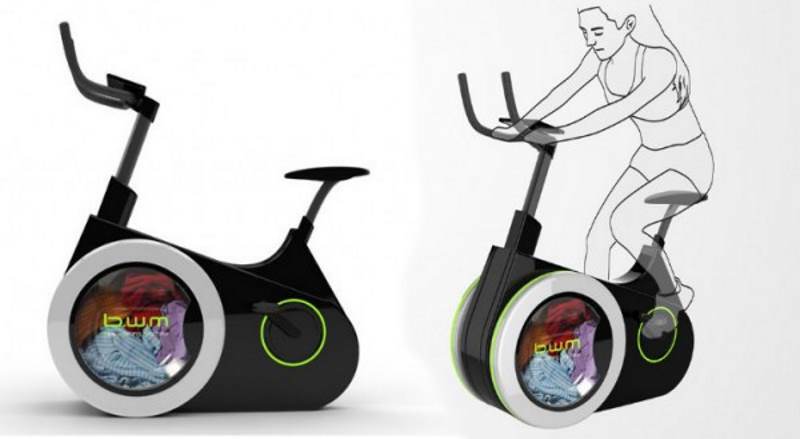 This static bike allows you to do your laundry, while exercising. And, in addition to saving your time it also saves water and energy. Just like any other static bike, BiWa runs on human power. It has an installed door, drum and dispenser. By rotating the pedals installed above the drum, you rotate it and as a result you wash your clothes. It’s also equipped with a small display screen, which is turned on when you rotate the pedals with greater force, and tells you the time you need for finishing the task. The best thing is that it also stores the energy produced by pedalling. This extra energy can be used subsequently for finishing other tasks. Although the BiWa is still to find its way to the commercial market, it already sprouted great interest among the potential consumers, as it addresses one of the greatest problems of modern age – the lack of time. By allowing you to perform two tasks simultaneously, it takes care not only for your health and fitness, but also for the tidiness in your home. As a bonus, it saves a lot of money and energy.